We are proud to feature the latest in our monthly member spotlight series. The series will spotlight SCTA members and their contributions to the cash industry. 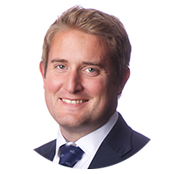 This month, we interviewed Steve Lawrence, Senior Underwriter for XL Catlin's Fine Art and Specie division. Q: What drew your organization to become a member of the SCTA? A: Market leadership is about more than providing capacity. It's about working with associations like the SCTA to share experiences with other industry leaders, listening to our clients and understanding the risks associated with their activities, and driving market best practice. The cash management industry is facing challenges, including a particularly high level of threat and violence. Sharing knowledge and experience through our association with the SCTA is vitally important. Q: What is an exciting development in the industry you have noticed? A: Some of the innovative technology advancements in terms of note spoiling and destruction are fascinating. The unfortunate fact of aggressive attacks in some parts of the world is that they will continue to happen if cash can be successfully taken. Making the prize worthless is a major step forward. So far, CIT providers have focused on developing technology in countries where there is a heightened risk of aggression, such as Brazil and South Africa. However, Europe has also seen a spate of aggressive attacks, highlighting the need for a global approach to developing technologies that will keep us one step ahead of criminals. XL Catlin’s team of specialist Underwriters and Claims adjusters are internationally recognized and globally located to support the cash management industry. XL Catlin offers market leading tailored risk transfer solutions based on an in-depth understanding of current threats and our clients’ business needs. Learn more about XL Catlin here.